One Fresh Herb You Shouldn’t Live Without! I’m talking fresh DILL. Dill is a unique perennial herb. Unlike many herbs, not just the leaves, but the seeds can be used for seasoning. And dill contains numerous chemical compounds that have anti-oxidant, disease preventing, and health promoting properties galore. This food is very low in saturated fat and cholesterol. It is also a good source of dietary fiber, niacin, phosphorus, zinc and copper, and a very good source of Vitamin A, Vitamin C, riboflavin, Vitamin B6, folate, calcium, iron, magnesium, potassium and manganese. And dill is very low in calories. But there’s more—the science to dill is fascinating: Dill's unique health benefits come from two types of healing components: monoterpenes, including carvone, limonene, and anethofuran; and flavonoids, including kaempferol and vicenin. The monoterpene components of dill have been shown to activate the enzyme glutathione-S-transferase, which helps attach the anti-oxidant molecule glutathione to oxidized molecules that would otherwise do damage in the body. The activity of dill's volatile oils qualify it as a "chemoprotective" food (much like parsley) that can help neutralize particular types of carcinogens, such as the benzopyrenes that are part of cigarette smoke, charcoal grill smoke, and the smoke produced by trash incinerators. Simply put, it provides excellent protection against free radicals and carcinogens. But there’s still more: Dill’s volatile oil prevents bacterial overgrowth. It shares this feature with garlic, which has also been shown to have "bacteriostatic" or bacteria-regulating effects. And are you ready for this? In addition to its chemoprotective and bacteriostatic properties, dill is a very good source of dietary fiber (no surprises there—most plant foods are good sources of fiber), and a great source of calcium. You mean we don’t have to rely on dairy for calcium? Nope. We can start cooking with fresh dill! 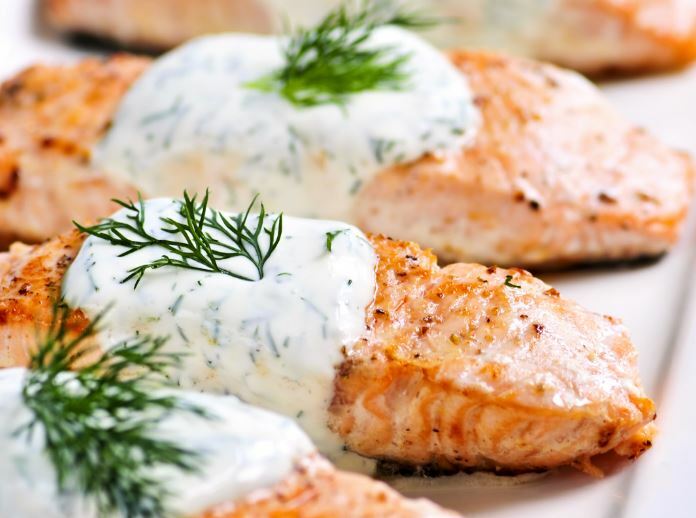 Whenever possible, choose fresh dill over the dried form since it is superior in its delicate fragrant flavor. 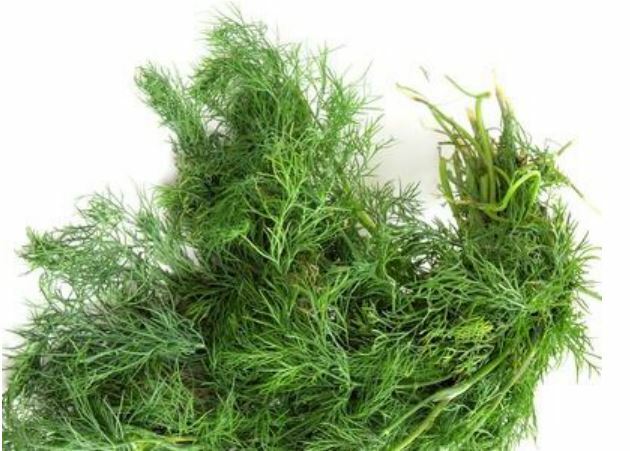 The leaves of fresh dill should look feathery and green in color. Dill leaves that are a little wilted are still acceptable since they usually droop very quickly after being picked. Combine dill and boiled potatoes—especially new baby reds! 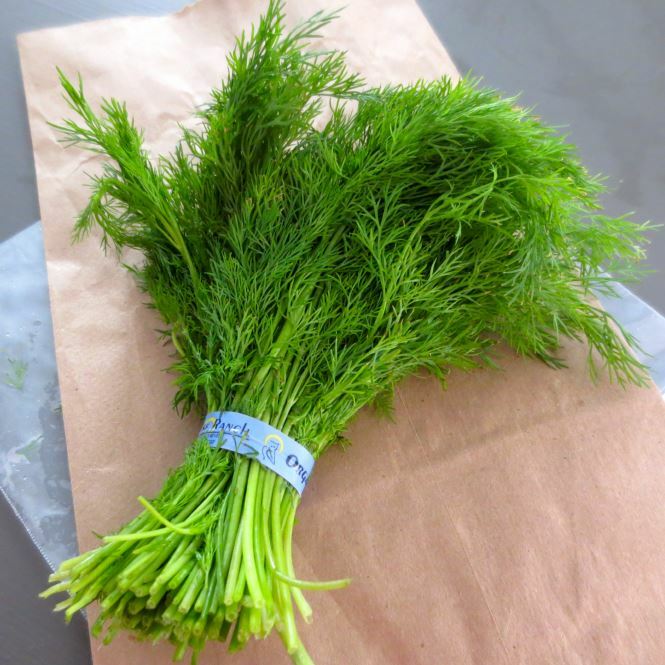 Add fresh dill sprigs to all vegetables when steaming. Mix together chopped potatoes, green beans, and plain yogurt, then season with both dill seeds and chopped dill.